Anthony, aka Dr. Anthony, brings a unique perspective on kettlebells from his work as a Seattle chiropractic physician and rehabilitative specialist. He started swinging bells in 2012 and quickly realized their potential for rehabbing injuries. Gradually, the former national-level competitive gymnast also realized how powerful they could be for overall fitness and performance. Before he knew it, he was training with Andrea U-Shi Chang for his SFG1. And then, his SFG2. (To put it mildly, he was entirely hooked.) Having coached high-level gymnastics for a decade, Anthony knew he had the capacity to teach. With Andrea’s help, he knew he could become a skilled Kettlebility trainer. And he knew he could draw on his education background—with his degrees in exercise science and kinesiology, master’s in sports science and rehabilitation, and doctorate in chiropractic—to help students. Every day, Anthony brings his practitioner’s eye to the studio. 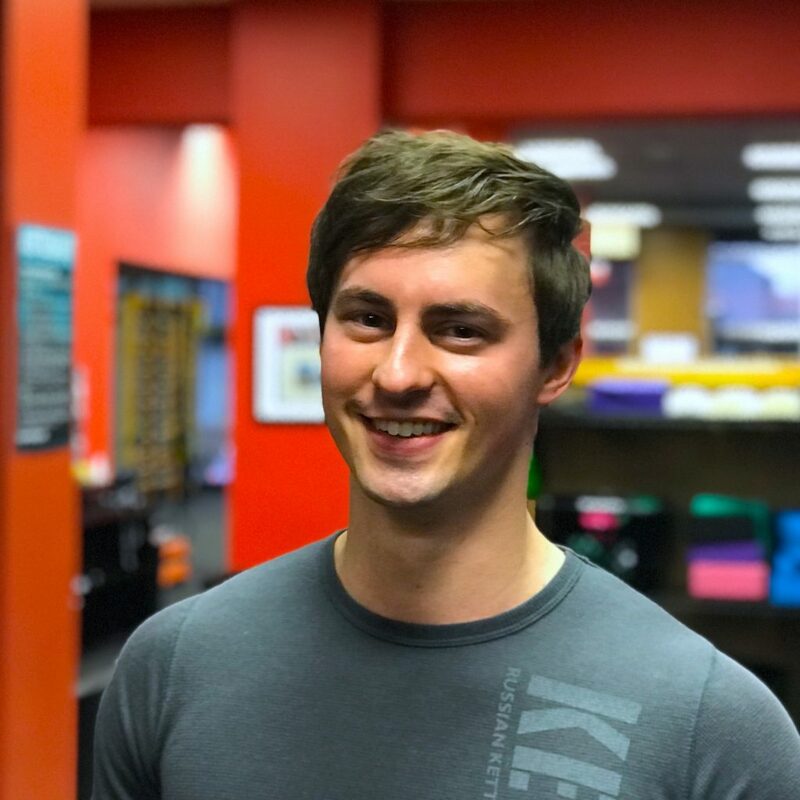 Anthony’s certifications include SFG2, SFL, SFB, GroundForce Certified Professional, FMS/SFMA, DNSET (dynamic neuromuscular stabilization exercise trainer), CPR/First Aid. Clinical certifications: MPI (motion palpation institute), active release techniques (full body and nerve entrapment), FAKTR (functional and kinetic treatment with rehabilitation). 1. Favorite health food you couldn’t live without: Grass-fed steak. 5.Who are your heroes? My parents, for too many reasons to list here; my grandmother, who was an Olympic judge and made a huge impact on the sport of gymnastics and who is one of the strongest people I know; and Captain America! 6. What’s on your bucket list? I would love to live in another country for at least a year after learning the language, like Italy. 7. Your mantra? “Excellence is an art won by training and habituation. We do not act rightly because we have virtue or excellence, but we rather have those because we have acted rightly. We are what we repeatedly do. Excellence, then, is not an act but a habit.” That’s Aristotle.